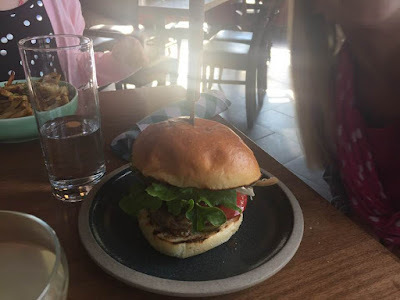 A few weeks ago we headed down to Kensington to have dinner at Brasserie Kensington to celebrate my 39th birthday. I had been here once before for dinner with my friend Terra and I was excited to be back again. I started my evening off with a beverage called Gun Smoke. 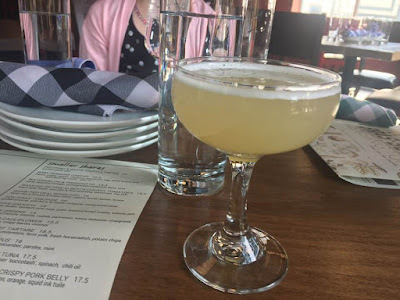 It wasn't good and I should have known that by the ingredients in the drink but i was intrigued by the smoked sea salt so I ordered it anyway. I hope to not do that again. Brasserie is designed to order a bunch of dishes and then share them. 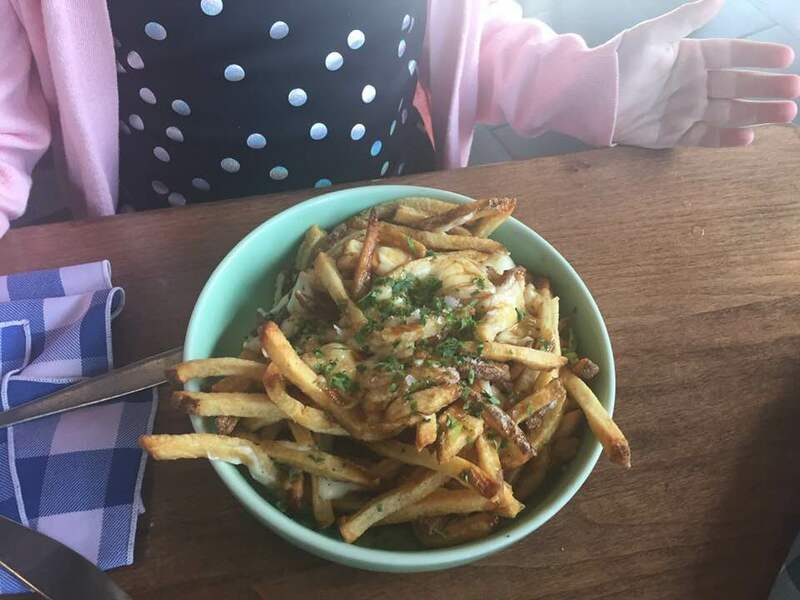 This is our favorite way to eat because you get to try so many fabulous items. 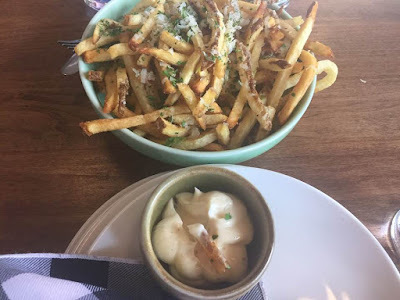 The first one to arrive were the pecorino and white truffle fries that came with a roasted garlic aioli. The fries were delicious (and gluten free) and we all loved them but I didn't love the aioli sauce that came with. I have had better for sure. The next thing to arrive was the fried chicken skin that came with a housemade fermented jalapeno sauce. This was Greg's pick and it was something he spotted when we were making sure there were enough options for Penelope to eat. 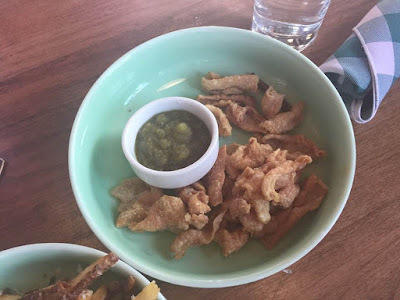 It tasted like dry ribs without the ribs and was just alright. Finley really wanted a hamburger so she got the beef brisket on a bun and it was amazing. It was huge and delicious and Greg was definitely sad that Finley chose to eat it all and not share a whole lot with him. Penelope got the poutine which was gluten free since they used au jus instead of duck gravy. Brasserie is a very gluten friendly restaurant and highly recommend it if you have celiac disease or a gluten intolerance. This was not gluten free but Penelope was ok with us ordering it. This was fried olive oil flatbread with balsamic creama and maldon sea salt. This was truly amazing. Next, we had the atlantic scallops and crispy pork belly and some werid cracker that came with it. This was just ok. I have had better elsewhere. 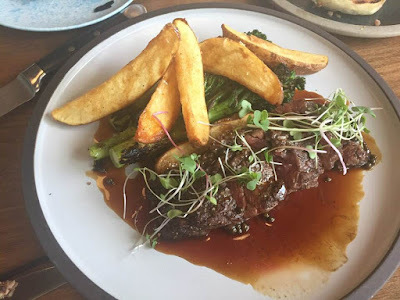 The main feature was this steak, potatoes and broccolini. The steak and sauce and broccolini were really good but the potatoes were terrible and that was a shared sentiment from both Greg and I. The sauce from the steak made the potatoes only slightly bearable. 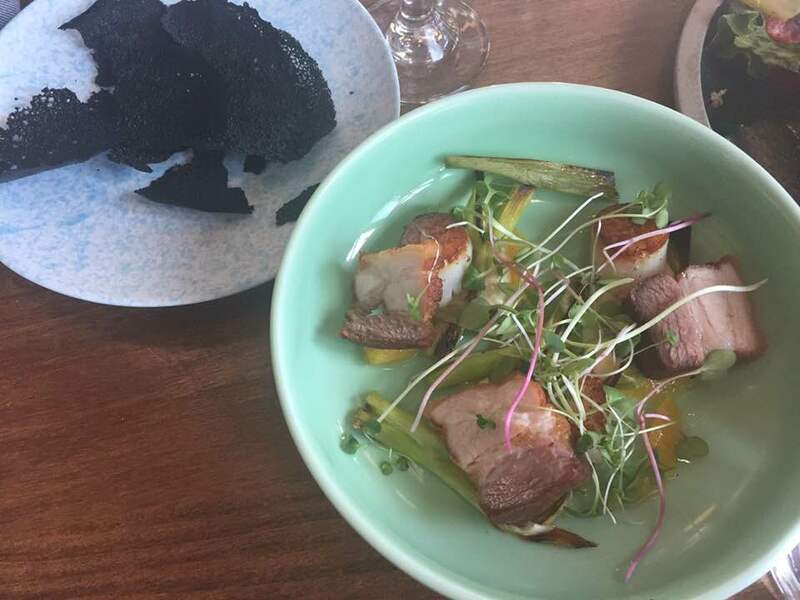 Overall, our experience was amazing despite not all plates meeting expectations. 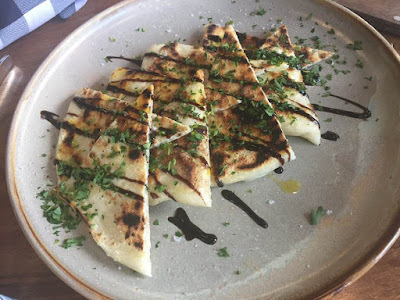 The service was absolutely fantastic and our server was very knowledgable with both menu and how all items could be made gluten free. It wasn't too busy and we had a great seat near the window. We will definitely be back again. Go check it out if you are ever in Kensington or looking for a fun place out to eat.